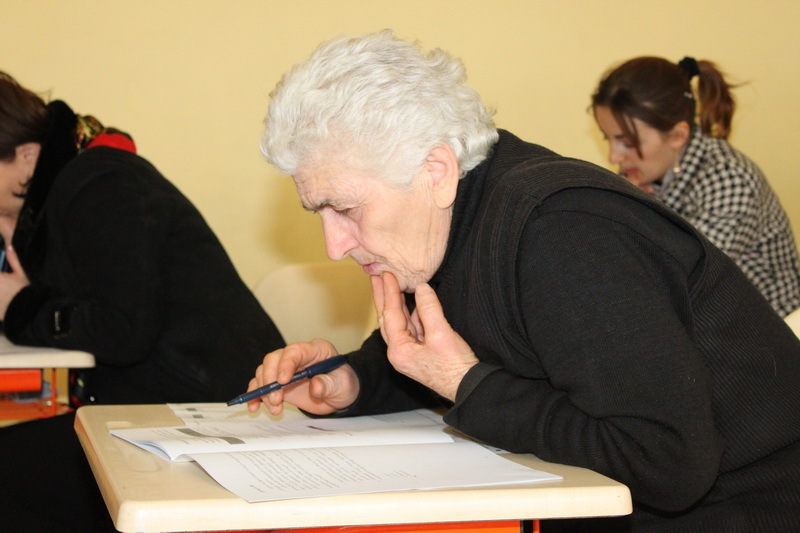 In the scope of the teachers’ voluntary certification, pilot testing was carried out in Kutaisi, on 27-28, February. 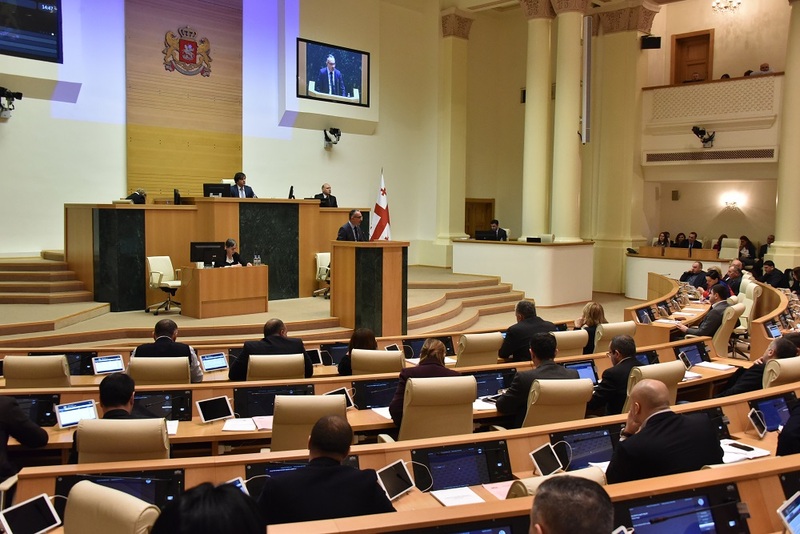 According to the President’s initiative, which was expressed at the meeting with the teachers in Batumi, the elections of school self-governments continue. 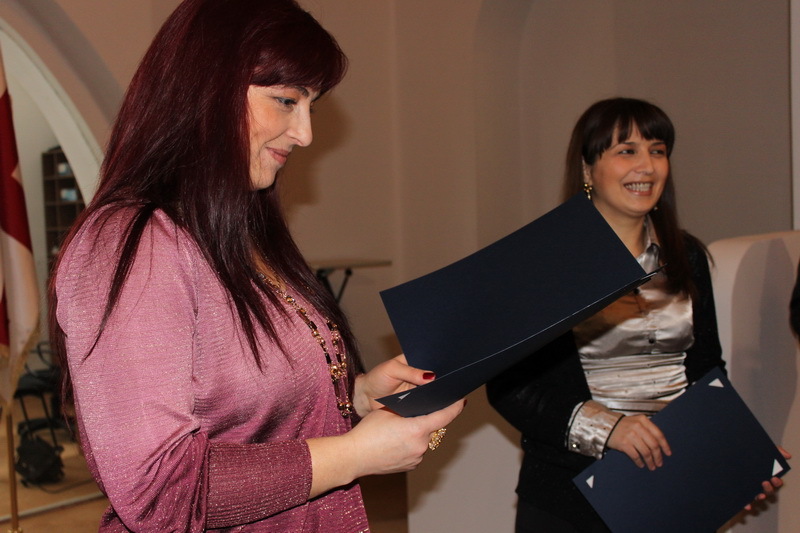 The Minister of Education and Science awarded the best participants of the creative competition “Russian Aggression in My Eyes”, which was carried out in the framework of “Occupation Week”. 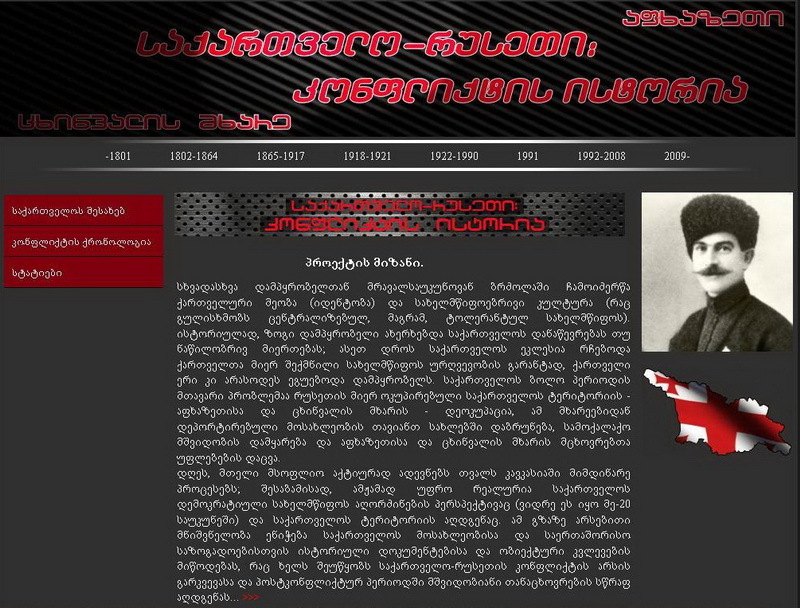 The Minister of Education and Science attended the presentation of the new web-site, which reflects Russian-Georgian 200 year conflict. 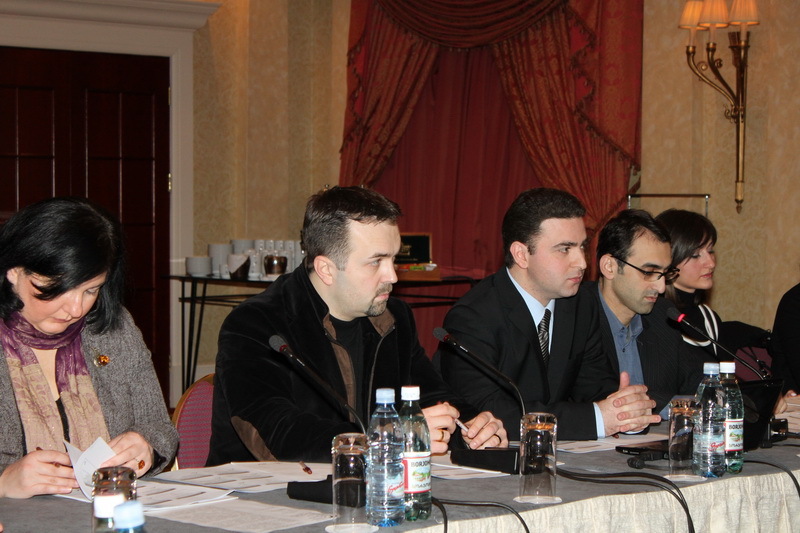 The Minister also participated in the conference. A new educational program “Teach and Learn with Georgia” will begin on March 1 by the initiative of the Government of Georgia. The main goal of this project is to recruit 1,ooo English native speakers to arrive in Georgia. 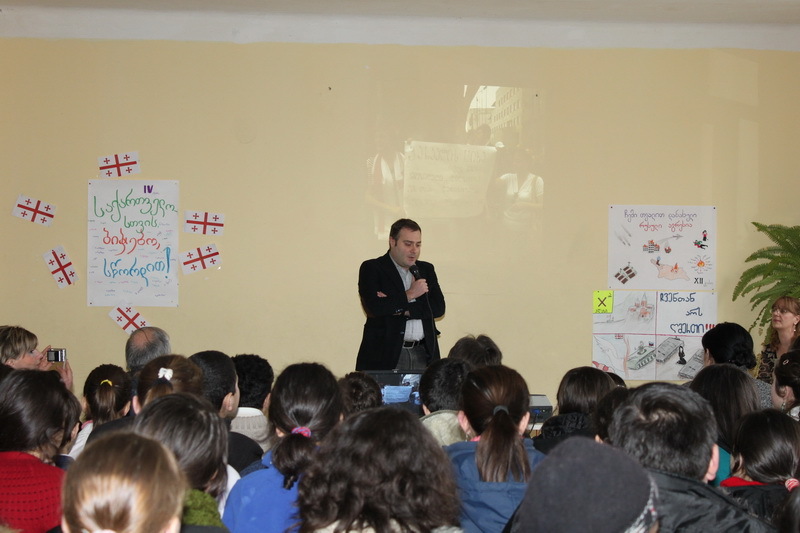 Foreign teachers will teach English to Georgian schoolchildren together with their Georgian colleagues. 120 students of the University of Georgia, who successfully passed Bachelor’s and Master’s full courses and became first graduates of the University, were awarded with diplomas. The Minister of Education and Science met with the principles of private schools and discussed the ongoing reforms in the educational system and the ways of their implementation. Aliante is the most successful international competition about NATO and international affairs issues. 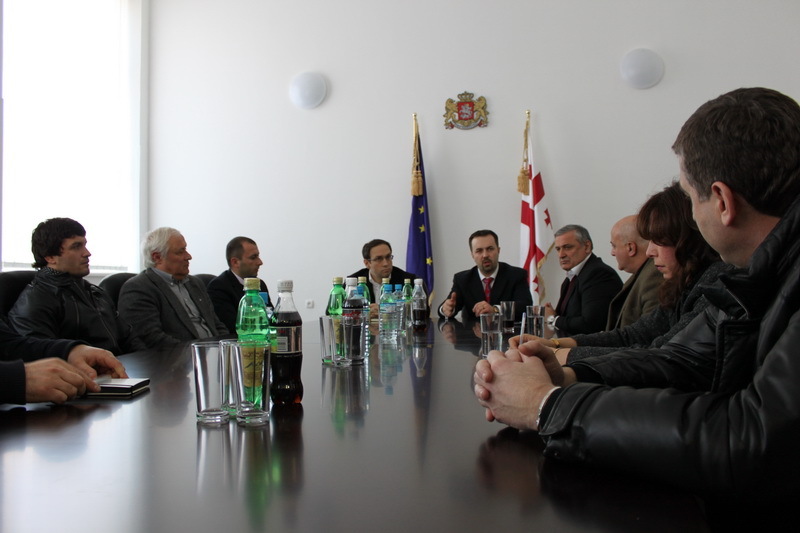 Minister Shashkini and other representatives of the ministry met with the president of Professional Syndicate, Mr. Tato Shavshishvili as well as the members of the union. 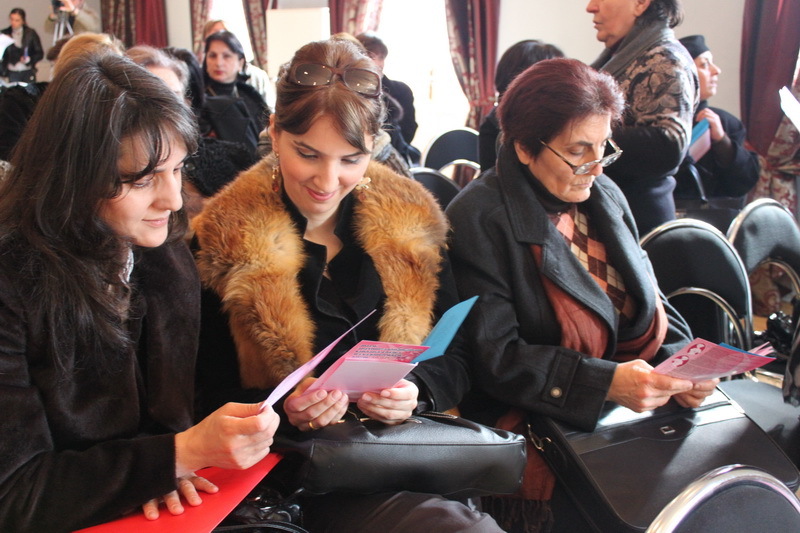 The representatives of the National Screening Center and the Deputy Minister of Education and Science Ms. Irine Kurdadze , held a meeting with teachers. 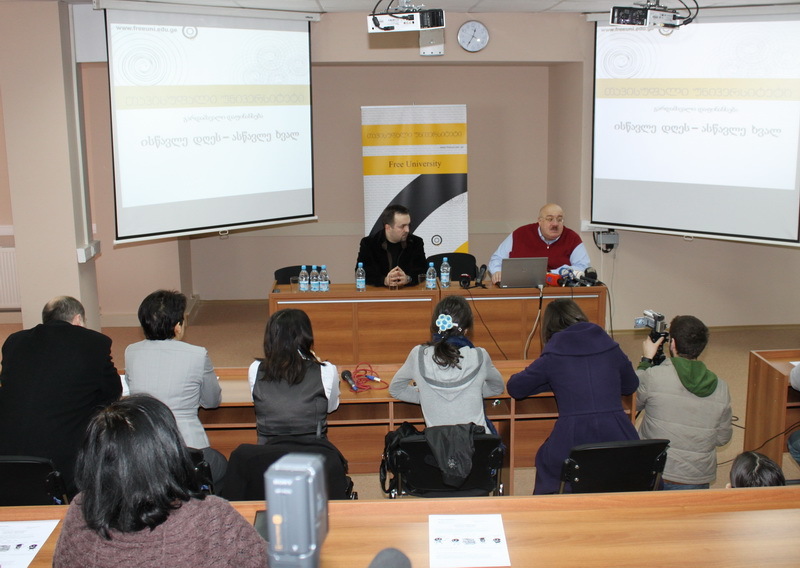 Dimitri Shashiki Attended the National Conference “Tobacco or Health”. The First Lady of Georgia Sandra E. Reolofs opened the two-day conference. 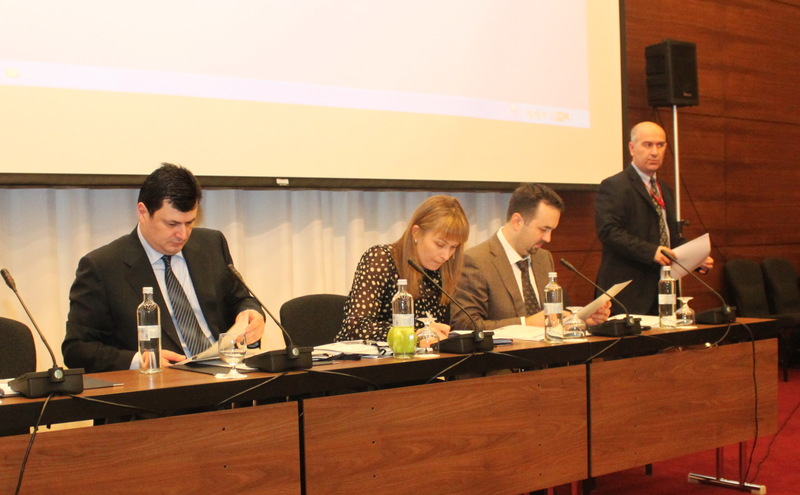 The Minister of Education and Science, as well as the Minister of Labor, Health and Social Affairs of Georgia took participation in this conference. 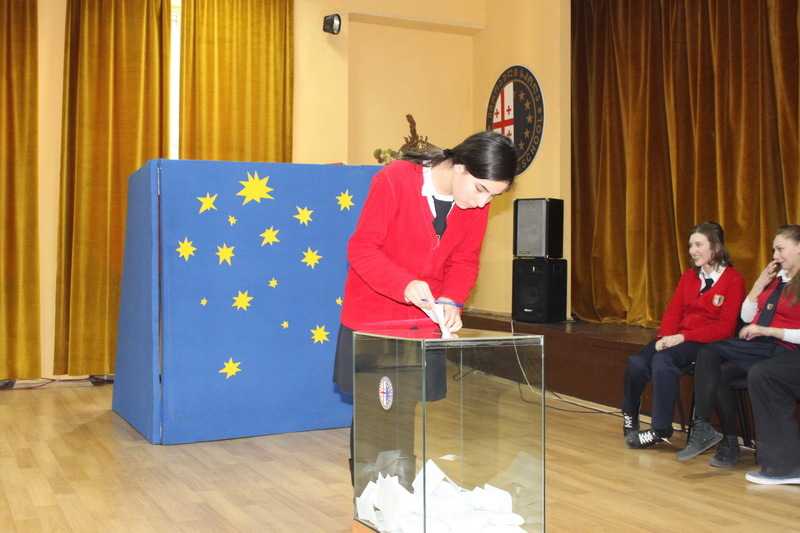 A 12th grader of Tbilisi #54 public school Tinatin Kipiani was selected as a winner for the best slogan - “Youth without Loss”. 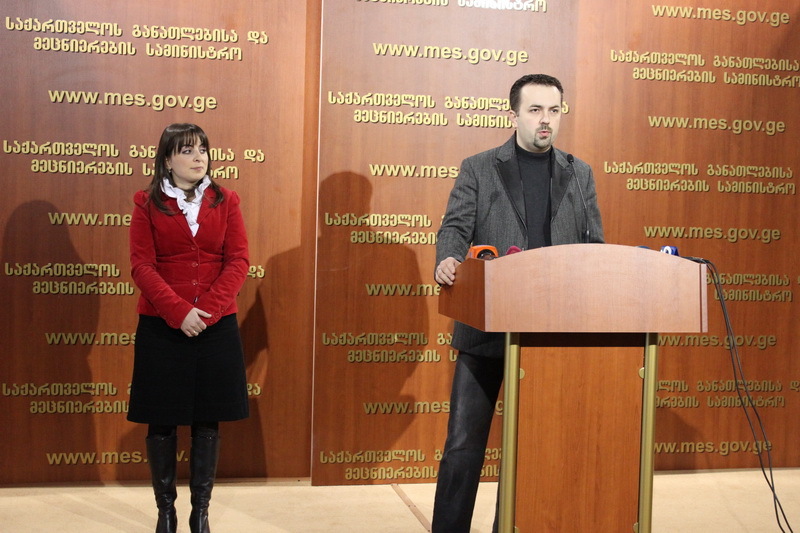 The working process on the new regulations of textbook approval ended at the Ministry of Education and Science. 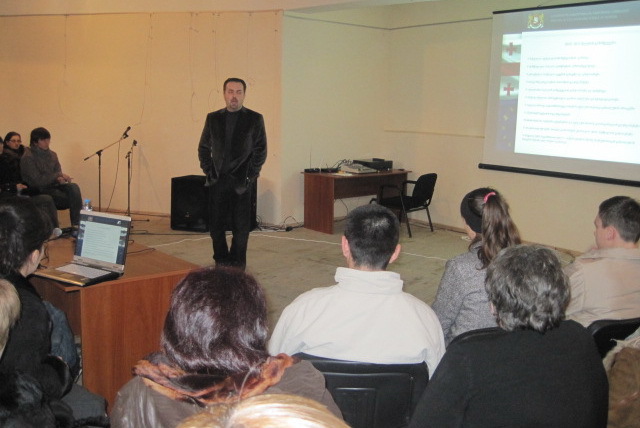 Teacher Professional Development Center carried out a training program “Utilization of Informational-Communicational Technologies in the Educational Process” in 2009-2010 academic years. The social dialogue between the government and Free Professional Union of Teachers and Scientists has commenced by the order of the Prime Minister #335, 2009 and is still underway. 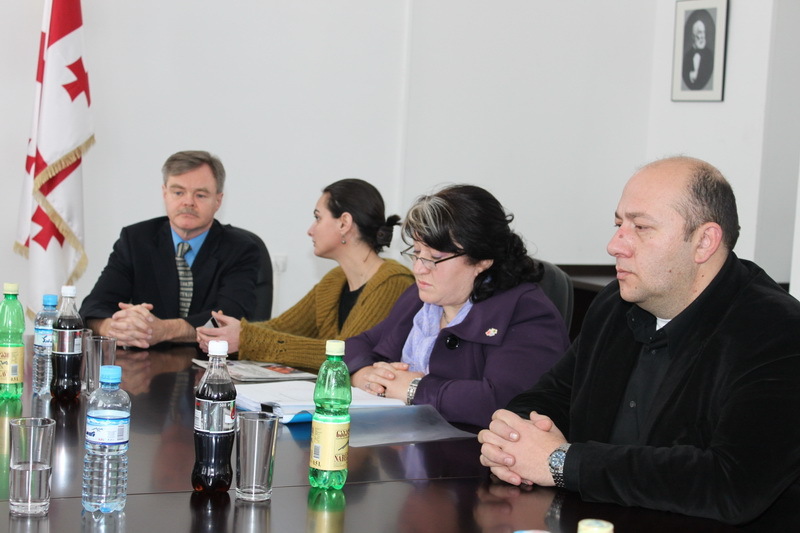 In the framework of this initiative, the Minister met the chairman of Free Professional Union of Teachers and Scientists, Ms. Manana Gurchumelidze. 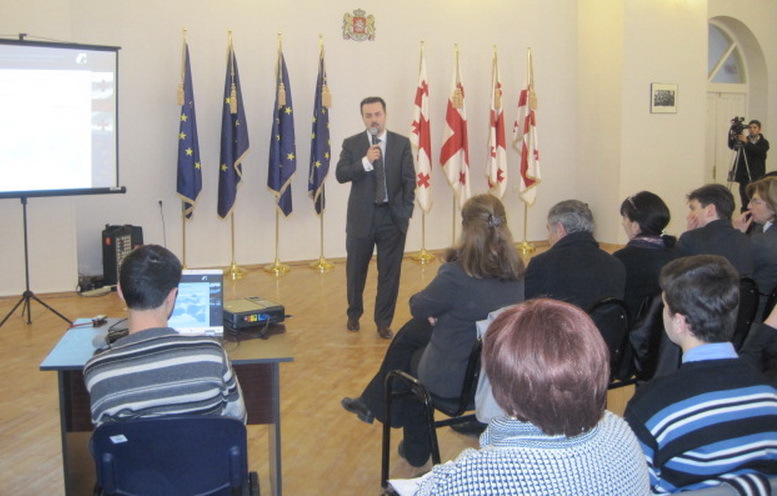 During his visit to school for blind and visually impaired children №202, Minister Shashkini presented the schoolchildren with Braille printing machine, text-books printed with Braille system and other tactical educational materials. 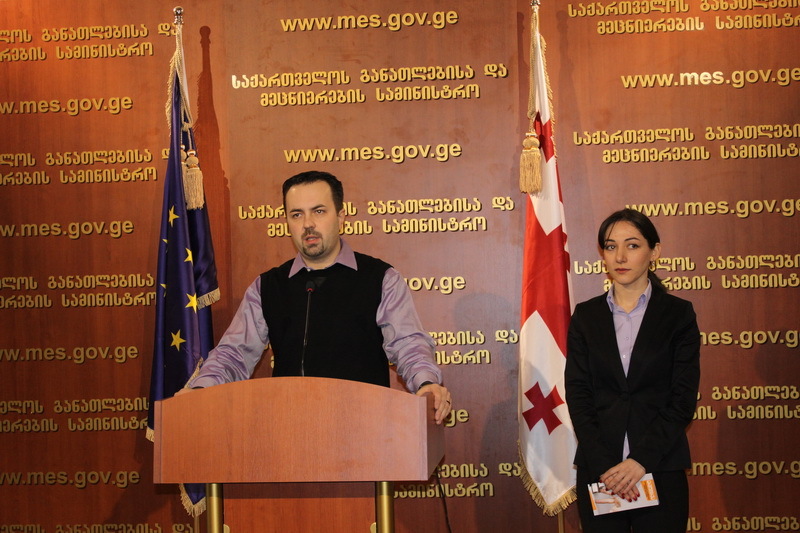 The renovated project “Future is Yours” will be carried out by financing of the Ministry of Education and Science, Tbilisi City Hall and the Ministry of Environment Protection and Natural Resources of Georgia. According to the initiative of Minister Shashiki, around 300 internally displaced teachers will be employed in a period of one month. Minister personally met the teachers from Samachablo and Axalgori and discussed the details of their possible employment in different schools. During the meeting with the principles of public schools, the Minister of Education and Science spoke about the planned reforms in the educational system, concrete problems existing at schools nowadays and the ways of solving them. According to the Minister’s decision, the dormitory of Kachreti vocational education and training center will be fully renovated before the beginning of the next academic year. 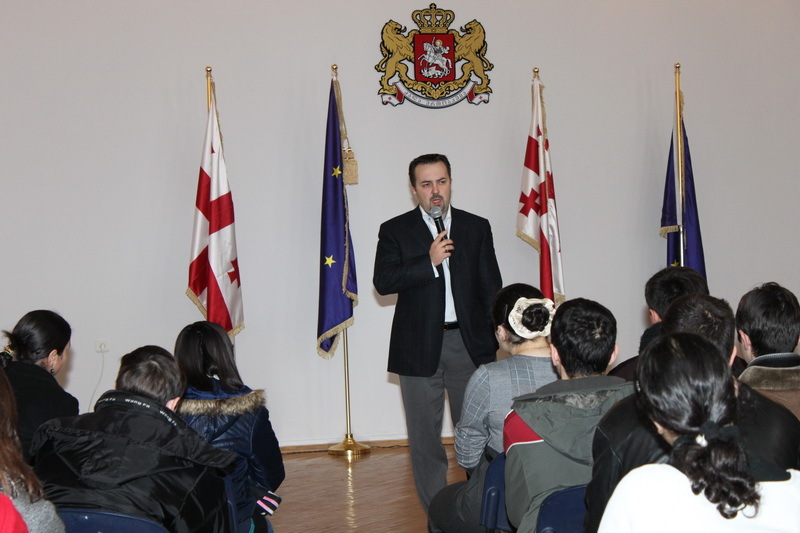 During the briefing, the First Deputy Minister, Akaki Seperteladze, evaluated the project of providing schools with internet connection and spoke about the significance of this process. With the initiative of the Minister of Education and Science, a Public Board was established within the Ministry of Education and Science. 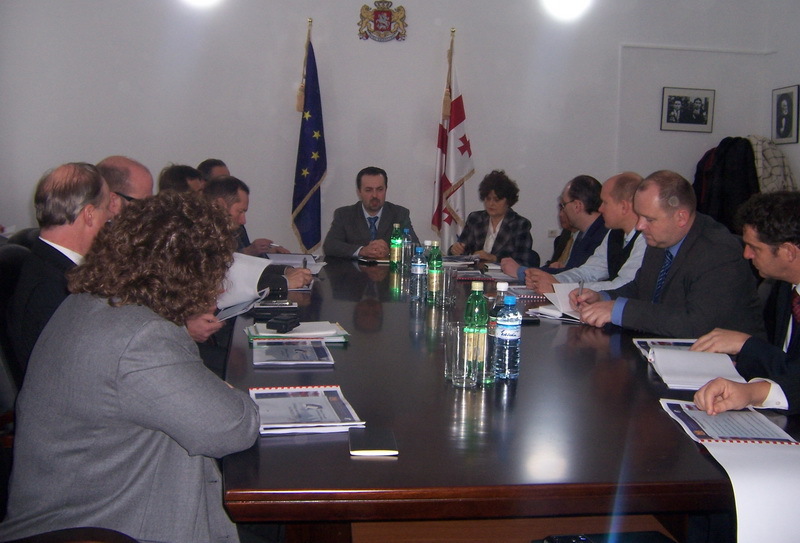 The Board members will hold meetings on a monthly basis. Georgia was elected as the Vice President of the International Bureau of Education on the 59th session of the IBE held in Geneva on January 27. Norway was elected as the President country. 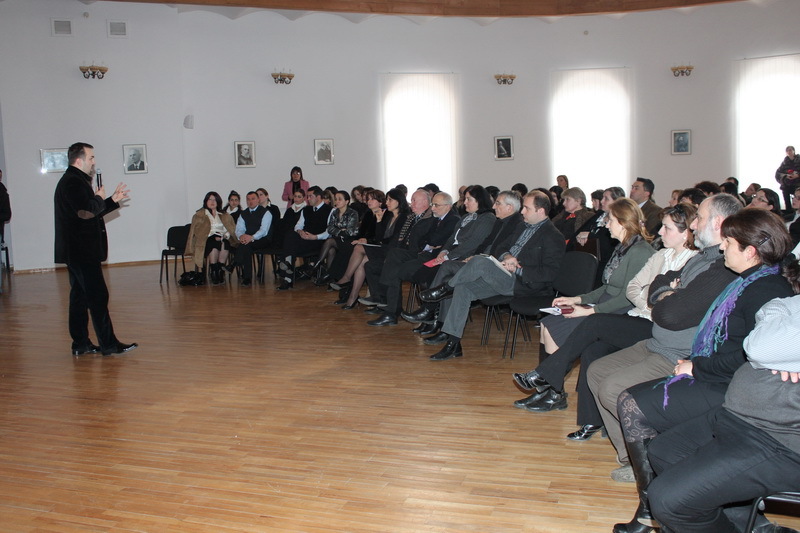 Under the framework of the project, “Russian Aggression in my Eyes”, school children presented literature works and paintings reflecting the Russian-Georgian war in 2008 at Public school № 65. 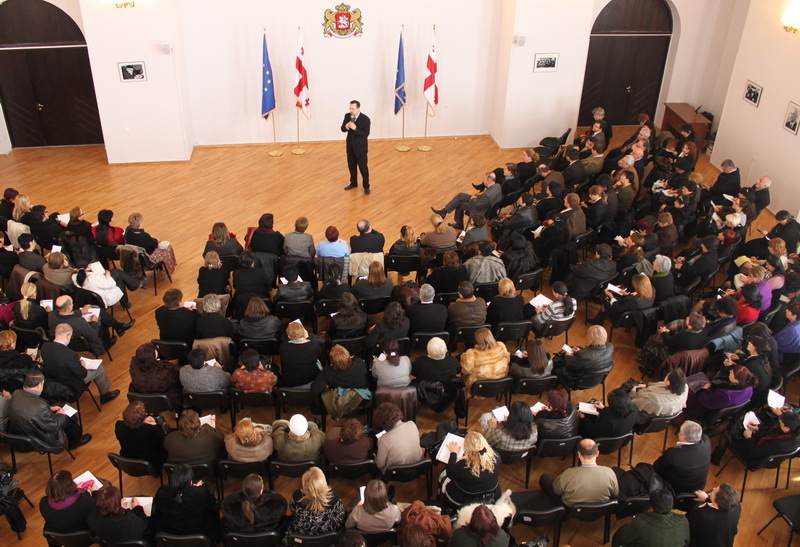 The Minister of Education and Science Dimitri Shashkini held a meeting with around 300 11th grade students and introduced all the changes regarding passing 10 compulsory subjects to get a high school diploma for the academic year of 20111. Minister of Education and Science held a meeting with the rectors of the higher educational institutions and other representatives of educational institutions and introduced current education reforms to them. 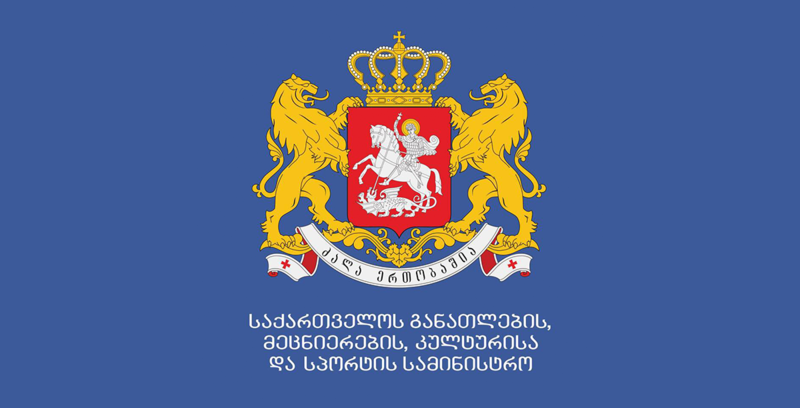 The Ministry of Education and Science of Georgia along with the Educational and Scientific Infrastructure Agency of the Ministry and the Union of Georgian Architects announced a competition on the best architectural projects. 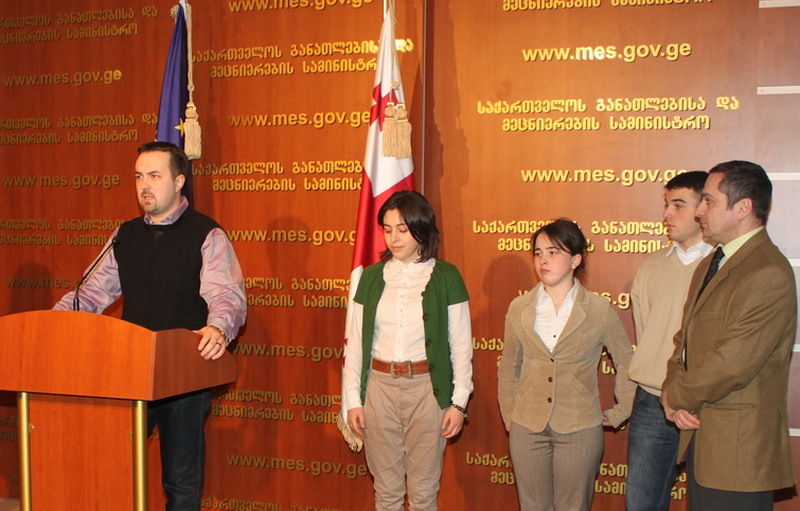 Upon the initiative of the Minister of Education and Science a Public Board was established within the MES. The Board will hold a meeting every first week of each month. Any person interested in the ongoing education reforms can participate in these meetings. Certification exams for teachers will be held for the first time in Georgia. The certification process will give teachers an opportunity to reveal a high competence of their professional knowledge in their respective subjects and prove that they are aware of the modern teaching and learning methods. 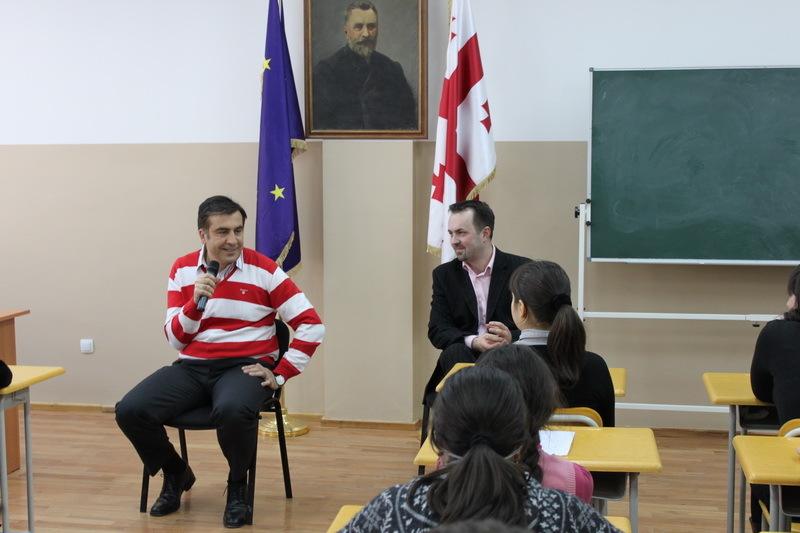 On February 3, during his visit to #189 Public School, President Mikhail Saakashvili decided to return the original name “the First Experimental School” to the school. The teachers and student s were very pleased with the President’s decision. 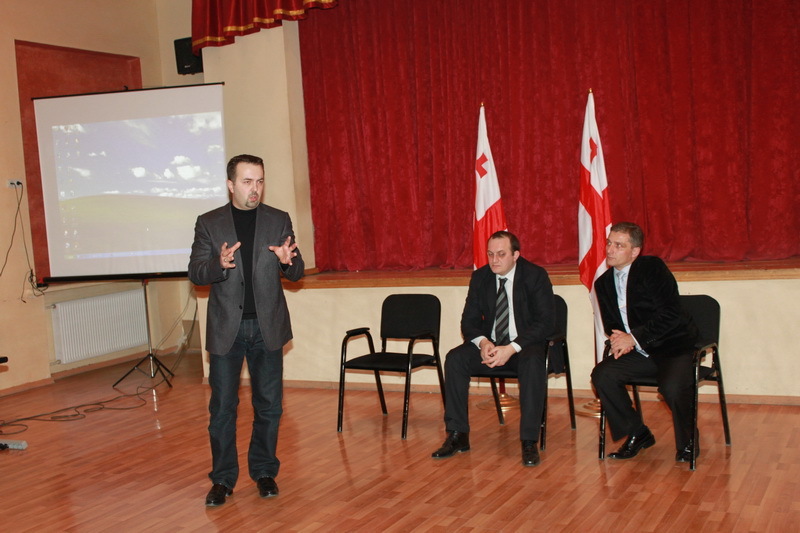 President of Georgia Mikheil Saakashvili presented the Alumni Club project at the First Experimental School. 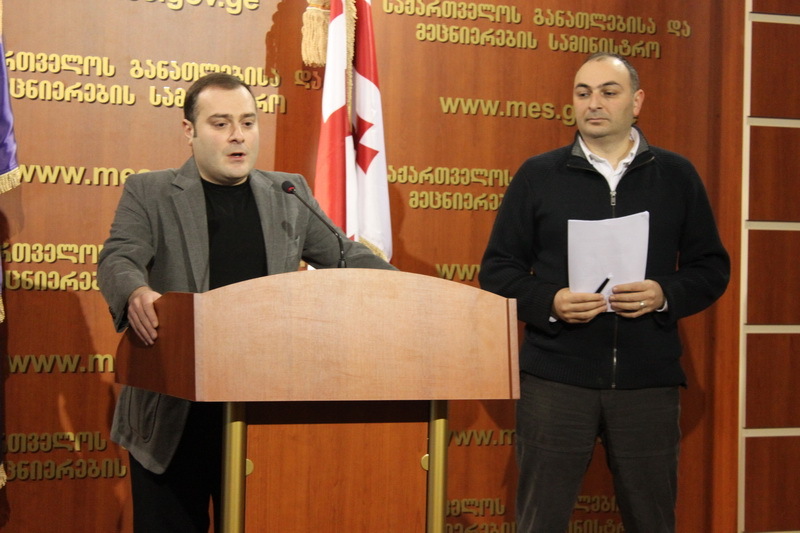 In order to increase the quality of education for the children with special needs, the Ministry of Education and Science has launched a voluntary registration process for these children from the age of 5- 17. 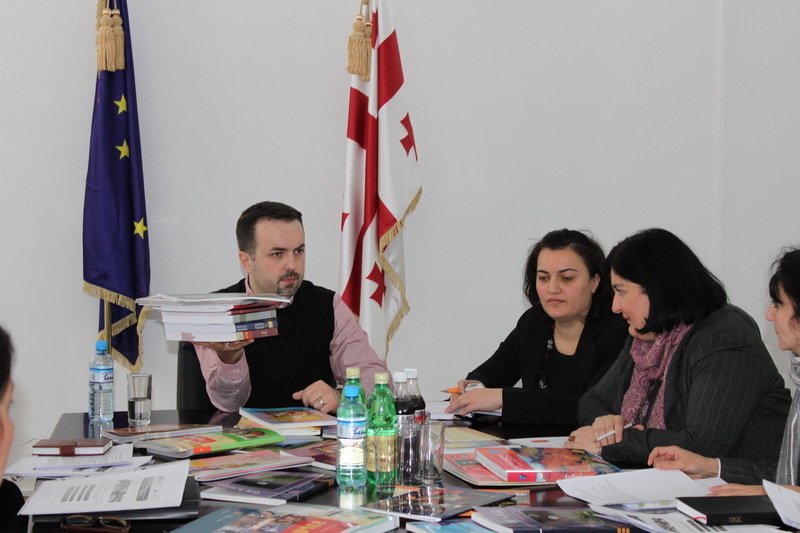 Minister Dimitri Shashkini met with the representatives and experts of the National Curriculum and Assessment Center to discuss setting up new standards for school textbooks approval. 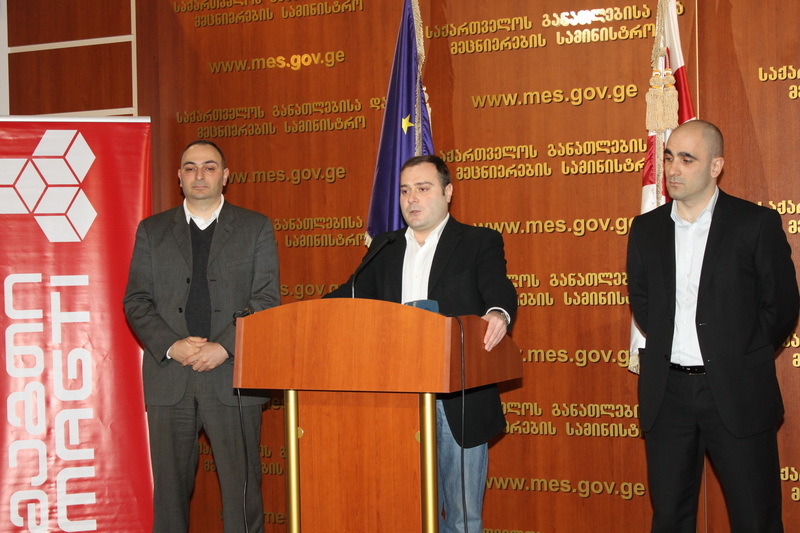 Minister of Education and Science Dimitri Shashkini, Minister of Culture, Monument Protection and Sports Nikoloz Rurua, Head of Sports and Youth Department David Namgalauri, as well as representatives of the sport federations held a working meeting on introduction of sport classes at public schools. 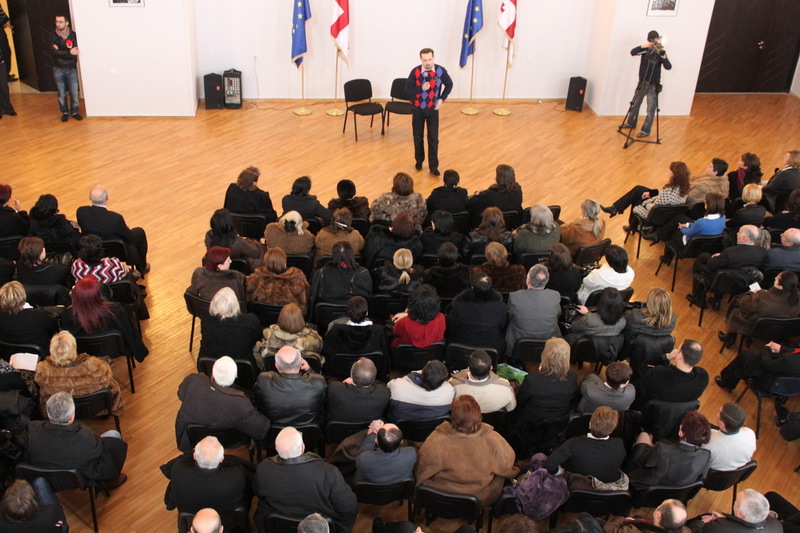 First Deputy Minister of Education and Science of Georgia Akaki Seperteladze together with the President Representative Lasha Makatsaria opened a newly refurbished Public School #1in Tskaltubo Region, village of Maghlaki. 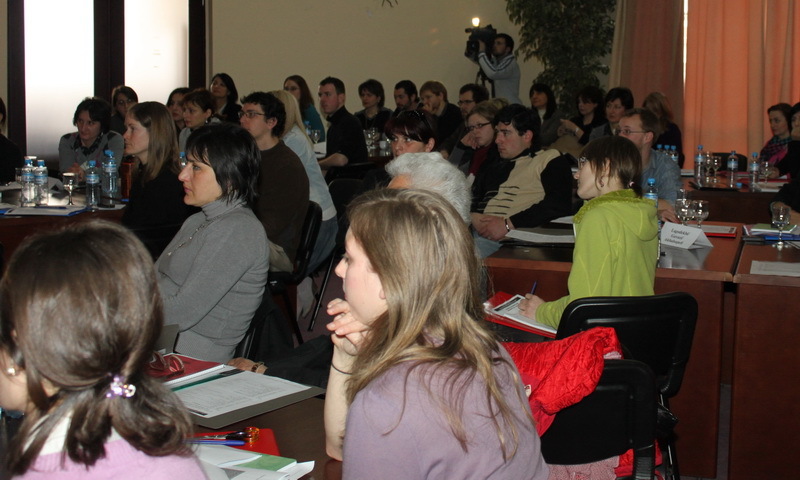 Teachers from abroad are to arrive to Georgia with an aim to strengthen teaching of foreign languages in the country. 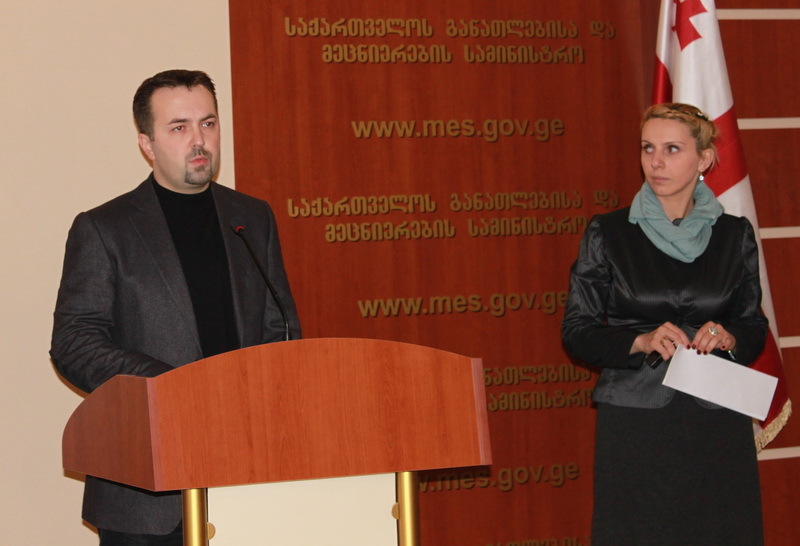 Minister of Education and Science of Georgia Dimitri Shashkini arranged a two-day seminar for journalists in Bazaleti Touristic Complex. 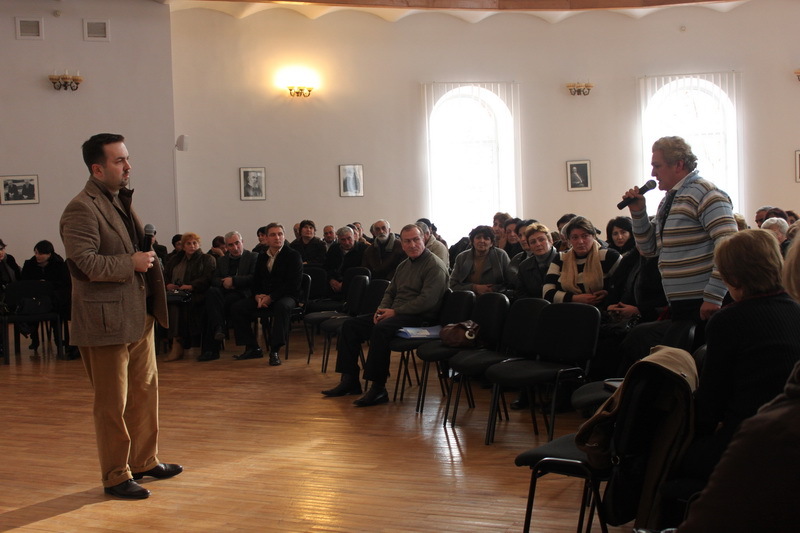 The main goal of the seminar was to introduce new inititiaves in general education for 2010-2011. 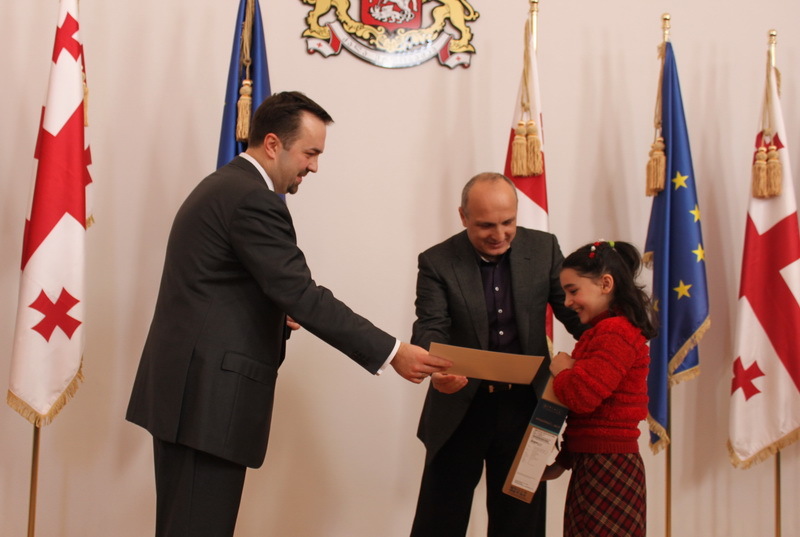 Minister of Education and Science Dimitri Shashkini delivered personal computers to three high school students under 12 who won the Literature and Arts Contest on Olympic theme. In 2010, 5 million GEL will be allocated from the state budget to finance 103 scientific projects within the framework of the State Science Grant competition and 31 projects within the framework of the Presidential Grants competition for Young Scholars. 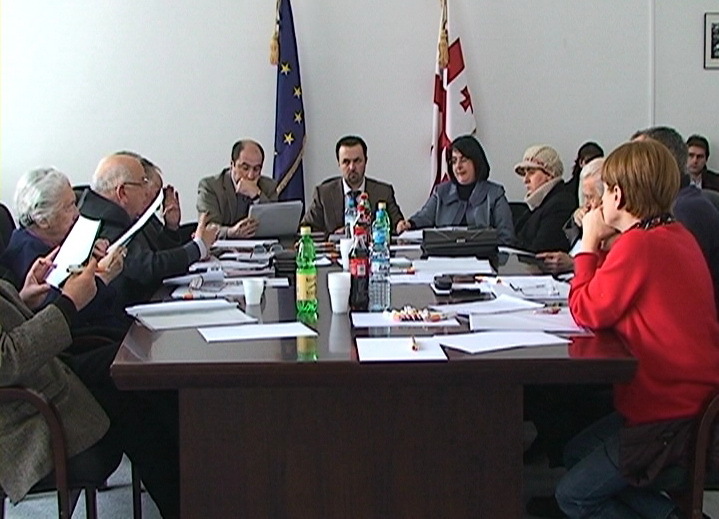 The first scientific board meeting of Rustavlei Foundation (Foundation for Georgian Studies, Humanities and Social Sciences) was held on January 20, 2010, in the Ministry of Education and Science of Georgia. 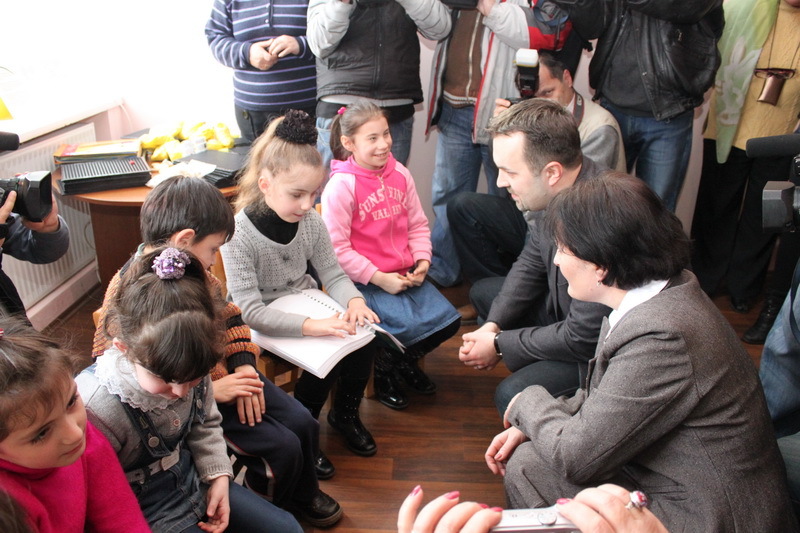 Minister of Education and Science of Georgia Dimitri Shashkini opened a new library at Tskneti orphanage. 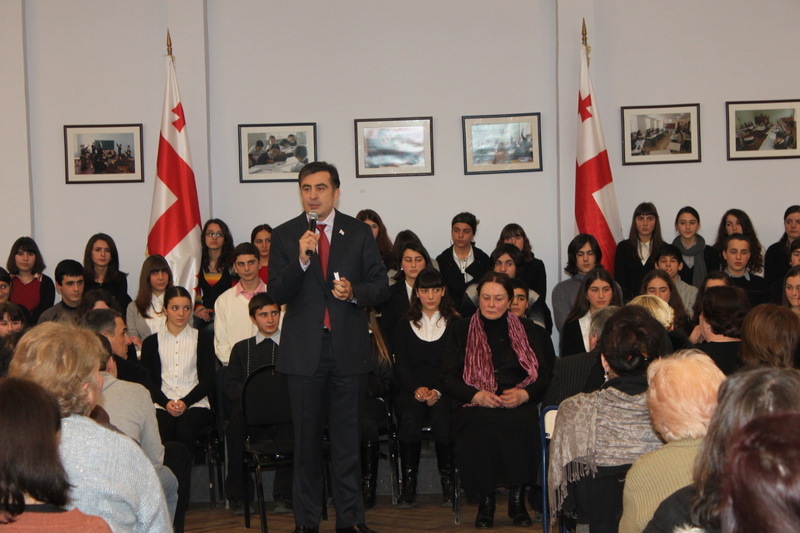 Minister of Education and Science of Georgia Dimitri Shashkini and Director of the National Examinations Center Maia Miminoshvili visited the centre located at the Public School #89 and wished good luck to the high school students participating in the National Olympics. 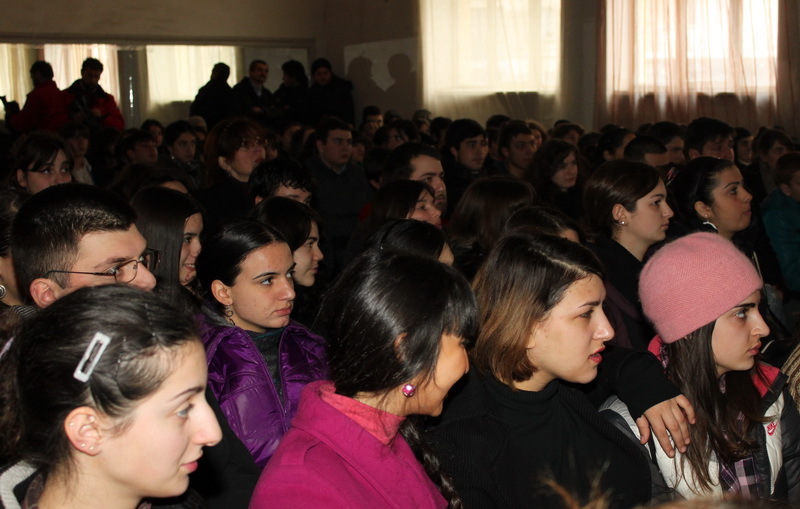 At the Public School №200, 137 pupils with special education needs study. Out of them, 110 pupils are provided with boarding. Pupils presented their handicraft to the Minister and put on some performances. 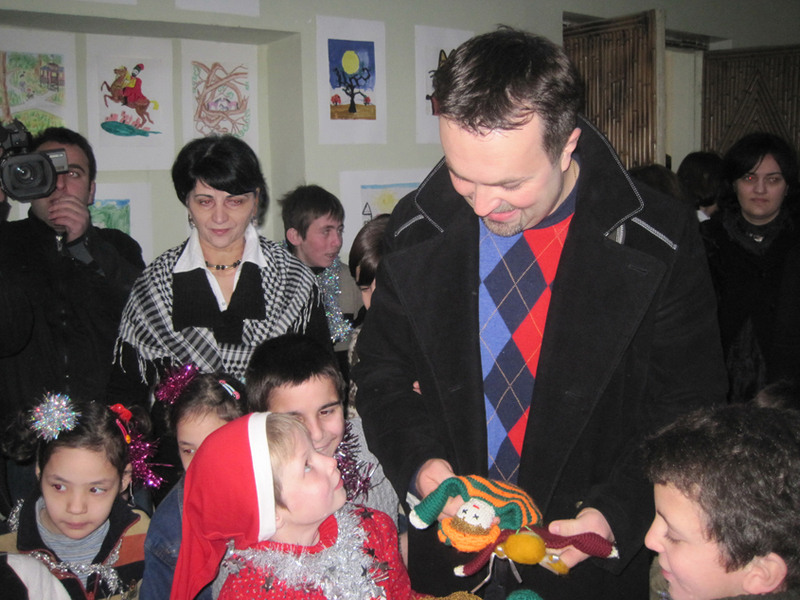 The Minister delivered New Year presents for the children at the end.